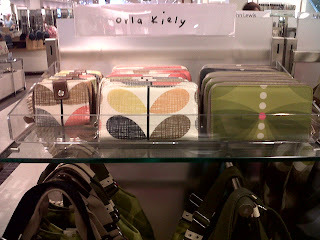 I know I rarely write about design (in fact, let me check.....actually, hardly ever) but I have long been an admirer of the Irish designer Orla Kiely There's something very pleasing about her use of colour and the simplicity of her designs and patterns - I like to flatter myself that they almost look like the type of doodles I find myself doing when my mind is wandering in meetings. But even though I have spent hours salivating over her designs in magazines and on her website, I'd never come across any of her products in the flesh, so to speak. This week I happened to be going to an appointment in Liverpool and parked as I normally do at the John Lewis department store car park. 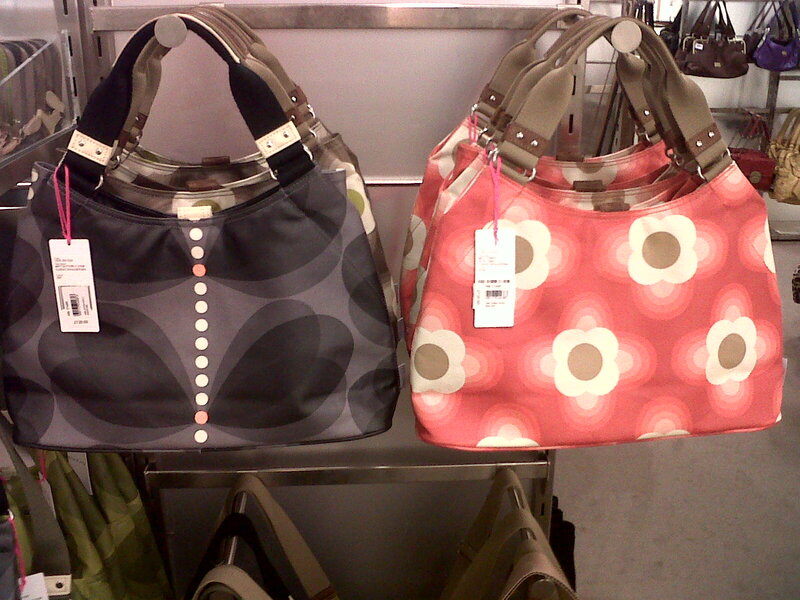 I also happened to have had an unexpected tax refund in my pay the week before. 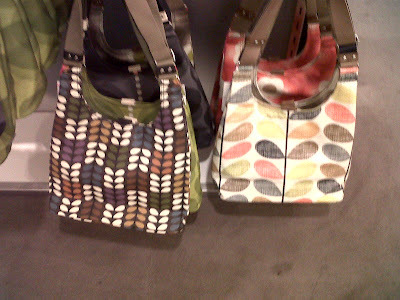 And as chance would have it I just so happened to pass the accessories department with a range of bags on display. 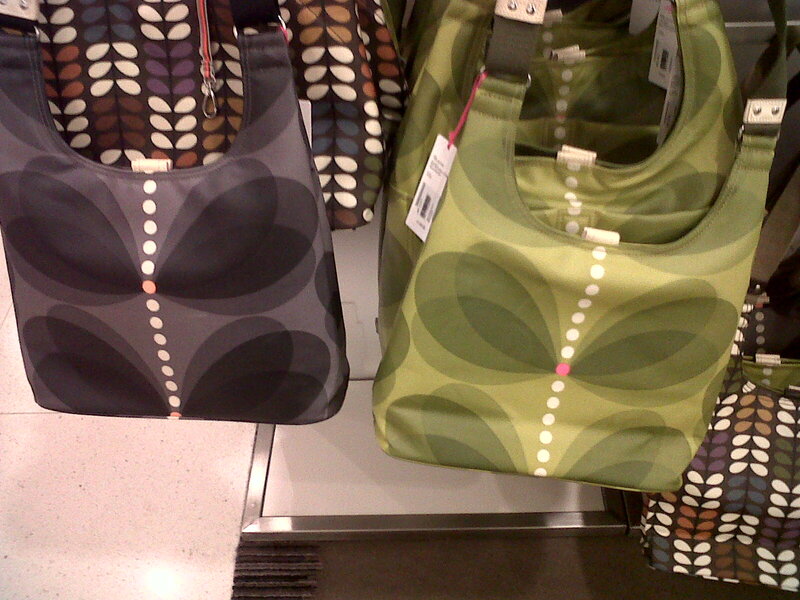 This unfortunate chain of events meant that I came face to face with my first ever Orla Kiely bags ~ and it was love at first sight. I think we're going to be very happy together. We're in LA ~ yeah baby! We're going to Los Angeles! !